ONE BAG! TWO LOOKS! 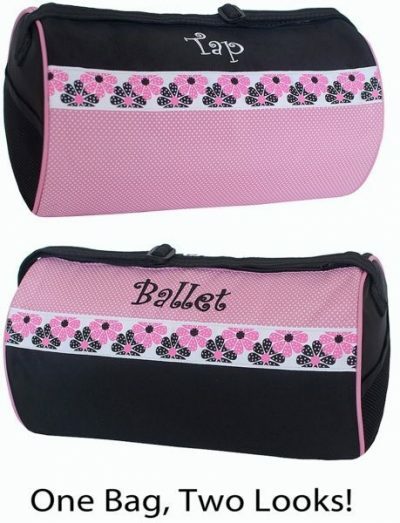 Ballet/Tap Combo Duffel. Embroidered “Ballet” on one side. Embroidered “Tap” on the other side. Features floral grosgrain ribbon trim. Microfiber material wipes clean with a damp cloth. Can be personalized.